Amazon.com description: Product Description: Collected here for the first time are rarely seen and largely unpublished figurative drawings and paintings on paper that represent a period of exploration and innovation for Richard Diebenkorn (1922â1993). Perhaps the most renowned West Coast painter of the twentieth century, Diebenkorn alternated between the figurative and the abstract. These pieces, dating from roughly the mid-1950s to the late 1960s, not only display his facility with the human form but also how his famed Ocean Park paintings were influenced by these explorations. Published in conjunction with the John Berggruen Gallery, this revealing collection features 42 drawings, paintings, and gouaches. Beautifully reproduced on the page, Richard Diebenkorn: Figurative Works on Paper fills a key gap in the literature of this premier American artist. 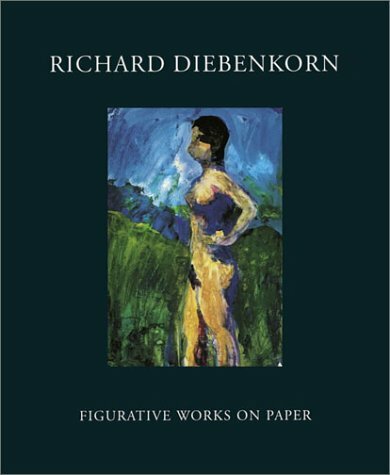 About: Collected here for the first time are rarely seen and largely unpublished figurative drawings and paintings on paper that represent a period of exploration and innovation for Richard Diebenkorn (19221993). About: Collected here for the first time are rarely seen and largely unpublished figurative drawings and paintings on paper that represent a period of exploration and innovation for Richard Diebenkorn (1922–1993).